Panasonic has unveiled the Lumix GH3, to replace the respected Panasonic GH2 at the top of the company's Micro Four Thirds compact system camera (CSC) range. The new camera is significantly bigger than its predecessor and couples a new 16MP Live MOS sensor with a new Venus Engine in a 550g body. The video capability was a big selling point for the GH2, and the GH3 builds on this being able to record 1080 50p Full HD Mov video with a bitrate of 50Mbps, or MOV videos at 72Mbps in ALL-I. Video files may be output in MP4, MOV or AVCHD format. All but MP4 support time code. Full-time AF, AF Tracking and Face Recognition AF are available in video mode, so the focus stays on a subject or face as the person moves. Sensitivity can be set in the ISO 200-12800 range as standard, or ISO 125-25600 in the expanded mode. Panasonic claims that image noise is better controlled than before thanks to the 3D Noise Reduction and Multi-process Noise Reduction systems. 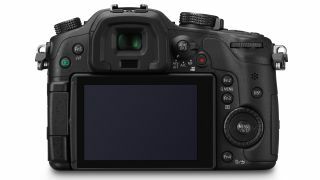 According to Panasonic, the GH3 also features 'ultra-high-speed and precise Light Speed AF' and a maximum continuous shooting rate of 6fps at full resolution. Dropping the resolution to 4MP enables you to shoot at up to 20fps. Built-in Wi-Fi integration enables you to stream images and videos to a computer, upload them to the Cloud, or browse through them on a smartphone or tablet. The Lumix Link smartphone and tablet app for Android and iOS also gives remote control of the camera's functions, including the shutter. In an improvement on the Panasonic GH2, the Panasonic GH3 is sealed against the weather and dust. There's also a sync socket to connect studio lights and a 3.5mm microphone jack. Also onboard is a 3-inch, 614,000-dot articulating OLED screen and a 1,744,000-dot OLED electronic viewfinder (EVF). Panasonic has also announced a battery grip for the GH3 to extend the shooting time and provide better handling when shooting in upright orientation. The Panasonic GH3 is set to go on sale on November 19 for £1,099 (around $1,785) body only, or £2,000 (around $3,245) with the 12-35mm kit lens, or £1,700 (around $2,760) with the versatile 14-140mm lens. The new battery grip has an RRP of £250, while the optional external microphone is going to sell for £300.